Lee Suan Yew was born in Singapore and obtained his medical degree from the University of Cambridge in 1961. After working in Singapore for a few years, he returned to the United Kingdom to undertake postgraduate training at hospitals including the Hammersmith Hospital and the National Hospital for Nervous Diseases. 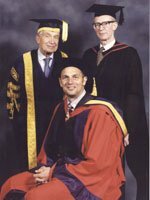 He became a Fellow and Member of the Royal College of Physicians in Glasgow in 1966 and then returned to Singapore, working at the Singapore General Hospital before going into private practice as a family physician. In 1985 he was elected President of the College of Family Physicians. Dr Lee has also served as President of the National Kidney Foundation and Director of the Board of the Singapore General Hospital. More recently he was elected President of the Singapore Medical Council. 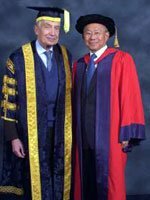 In 1991 Dr Lee was awarded the Public Service Star and in 1998 the President of the Republic of Singapore appointed him a Justice of the Peace. His hobbies include travelling and golf. Charles Pollard was educated at Oundle School and Bristol University, graduating in Law. After serving in the Metropolitan and Sussex police services, he was appointed Assistant Chief Constable of Thames Valley Police, the largest non-Metropolitan force in the country, in 1985. His appointment as Chief Constable followed in 1991. Charles Pollard is also a Member of the Youth Justice Board for England and Wales; a Visiting Fellow of Nuffield College, Oxford; and a Board Member of the Centre for Management and Policy Studies (which, attached to the Cabinet Office, oversees training and development for leaders / managers in the public services). He is frequently involved in criminal justice matters, contributing to written media and television documentaries. He has also led the development of restorative justice (a form of justice in which criminal offenders meet the victim of their crime and directly account to them, and the community, for what they have done) in the Thames Valley region, as well as nationally and internationally. Charles Pollard was awarded the Queen’s Police Medal in 1990 and was knighted in the 2001 New Year Honours List. 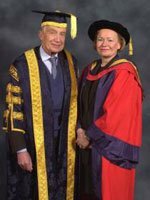 Sheila Masters was educated at Eltham Hill Grammar School and the University of Bristol, graduating in Law. She is a fellow of the Institute of Chartered Accountants in England and Wales (ICAEW), a member of the Institute of Taxation, and a Companion of the Institute of Management. Sheila Masters joined KPMG in 1970, qualifying as a chartered accountant (winning several prizes) in 1973. As a chartered accountant she specialised in public sector issues and was seconded to the NHS as Director of Finance (1988-91) and to HM Treasury (1979-81). She has been a member of the Council of the ICAEW since 1987 and was its President for 1999/2000. Current appointments include the Court of the Bank of England, Public Works Loan Board, Board of Companions of the Institute of Management, Council of the Institute of Business Ethics, Reuters Founders Share Company Limited, London Business School Governing Body, Marlborough College Council and Eastbourne College Council. 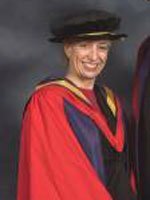 She was awarded a DBE in the 1996 Birthday Honours List and was made a life peer in 2000.
more political aspects of science research in Britain and in 2000 she participated in a consultation with the Secretary of State for Industry on science funding. She was awarded the CBE in the Millennium New Year’s Honours List. Commonwealth Gold at Edinburgh. His other sporting interests include golf and winter sports, and he was a member of the British Bobsleigh Team. Perhaps even more impressive than Steven Redgrave’s athletic performances is the fact that he achieved them against a background of serious illness. He nearly missed the Atlanta Games due to colitis and in 1997 he was diagnosed as diabetic. He was awarded an MBE in the New Year’s Honours List in 1987 and a CBE in 1997. He was recently appointed Vice-President of the British Olympic Association. 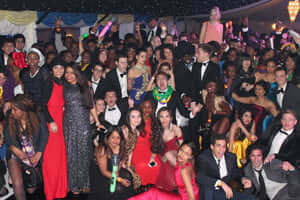 He represents commercial companies in a PR and promotional capacity and is also a very popular after-dinner speaker. Steven Redgrave was knighted in the 2001 New Year’s Honours List. Timothy Raison was educated the Dragon School in Oxford, Eton College and Christ Church, Oxford where he graduated with an MA in History. He is a member of the Privy Council (1982). He was journalist / editor of Crossbow and founder / editor of New Society. Sir Timothy has been a member of advisory committees on youth service, primary education, drug dependence and the penal system. He was Conservative MP for Aylesbury from 1970-1992 and Parliamentary Private Secretary to William Whitelaw, Northern Ireland, from 1972-1973. He has held various other parliamentary posts including Minister of State, Home Office and opposition spokesman for the Environment. He was chairman of the Aylesbury Vale Community Healthcare Trust from 1992-1998 and chairman for the appeal to build art gallery Bucks County Museum. 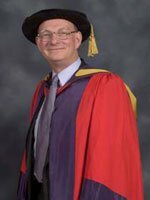 He has been chairman of the Oxford Diocesan Committee on Care of Churches since 1998 and on the Council of The National Trust from 1997-2000. He received the Nansen Medal for his part in originating the World Refugee Year in 1960. 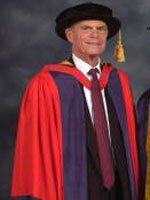 In 2000 Sir Timothy retired from the Council of the University, having been a Member since 1991.